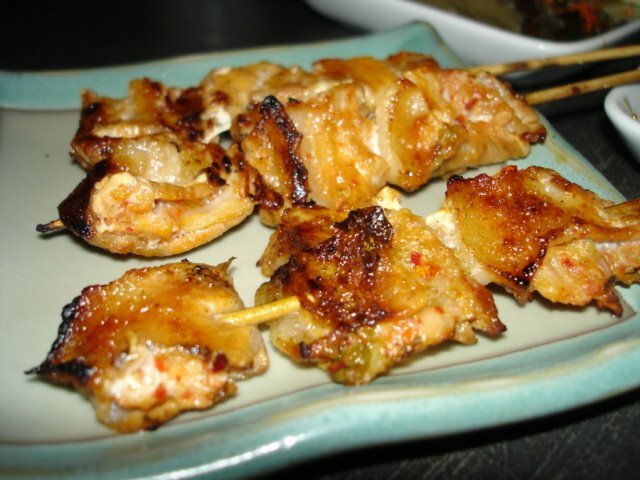 Shunjuu’s menu is fairly similar to that of Kazu’s, its specialty being sumiyaki (grilled food on skewers), only the grilled food at the latter is much better. The skewers though generally tasty, lacked the smoky flavour from the grill, the x-factor that sets Kazu apart. The appetizer menu is extensive and fared better in the taste department. 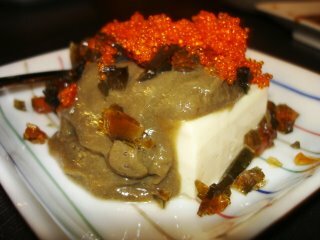 The tofu with century egg dressing (top) was quite delicious. 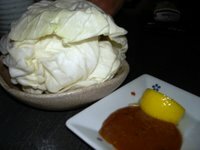 And the fresh cabbage with a miso dip was very addictive. However I was miffed when told that I was not allowed to take pictures of the food. I don’t quite understand this – afterall, I was paying for the dishes.